These are low-cost shielded surface mount inductors. 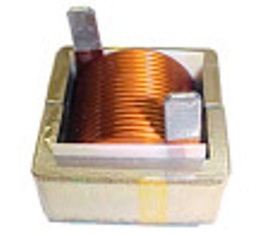 The rated current for these high current inductors is from 0.12 Amps to 35 Amps. The height of these low profile inductors ranges from 1.25 mm (0.05") to 8 mm (0.31"). These inductors wound on ferrite cores.